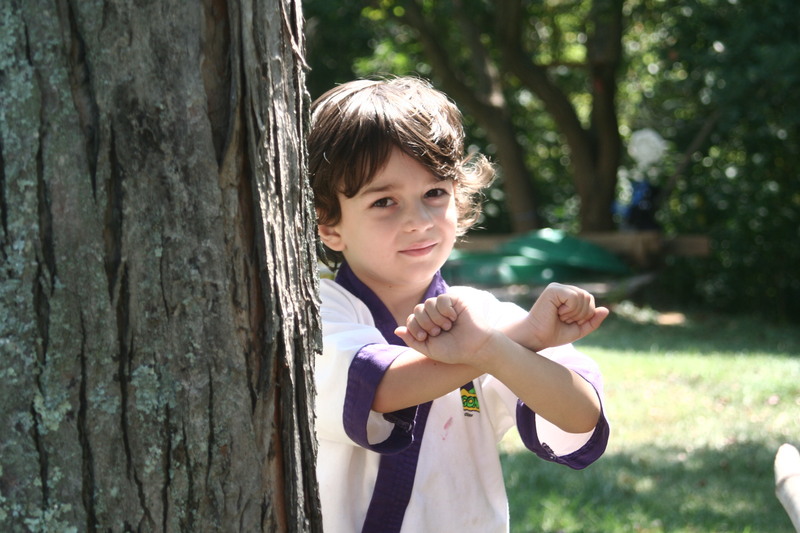 September is a month where our Waldorf-inspired curriculum teaches us to explore and enjoy a festival called Michaelmas. Archangel Michael, if you recall, cast Lucifer out of Heaven. Well, Archangel Michael also had an earthly counterpart, St. George of Merry England. George was known for battling and slaying dragons. The story reflects our inner dragons or fears and is a wonderful teaching, especially to children who are going thru “the change” as it is affectionately called. We each have light and dark within us. We must battle our darkness at times and learn to honor and integrate within. All month long we are doing activities and crafts building up to the festival. We promise to take you on the journey. 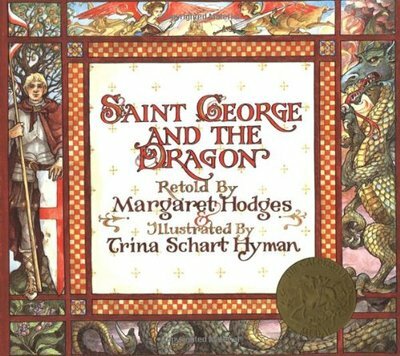 Here is a book I have brought forward this week by Margaret Hodges. St. George and the Dragon. The book is filled with beautiful illustrations and has given me great ideas, as I will be sewing and crafting to decorate our home for this aspect of our education. After reading the story the boys were inspired to dress up and play St. George and the Dragon. W and R will also have their opportunity this month to make a wooden sword and sheild. 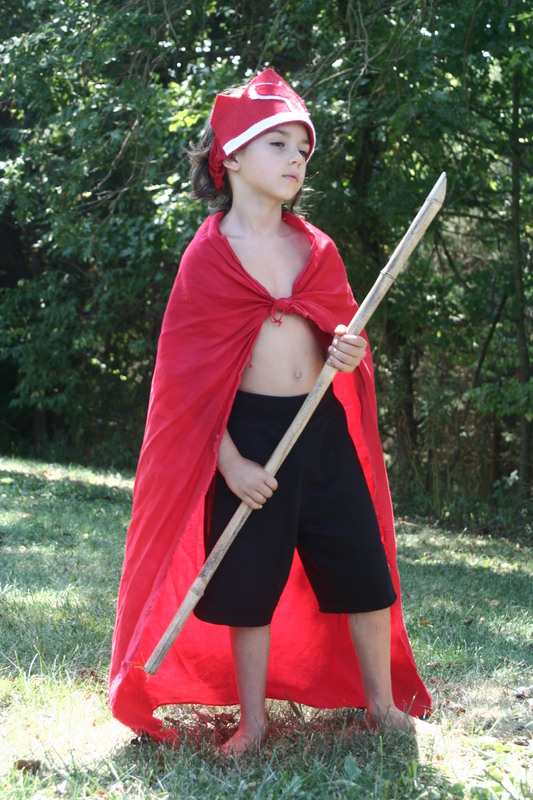 The sword and sheild are a part of more handwork us parent-teachers are integrating into our children’s education, beginning with planning and drawing, cutting, sanding and painting. We are hoping the sense of pride in making objects by hand will teach respect and gratitude. Handwork will strengthen the boys hands and fingers to assist them in drawing and writing in these early grades. Gross motor to fine motor. First here is a picture or two of W and R pretending to have a shield (R crossing his arms), and W with his sword (bamboo stick). The red cape and felt crown are from W’s birthday another year, but we will modify this outfit to make a knight’s outfit. R wants to be a Prince. We thought a warrior and a prince were very fitting. Tomorrow I will be in the Studio creating felt banners and flags of St. George’s Sheild in relation to the imagery for the month. Stay tuned as we continue on this enchanting adventure.